Are you a home based business in Cincinnati? Are you thinking about how to get your business idea started but want to learn from others that have gone through the process? 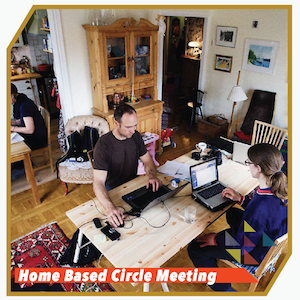 The Home Business Circle is an initiative lead by the Cincinnati Hispanic Chamber to help those starting a business, from the ground up, with little to no support group, to discuss their ideas, the challenges they face, and business issues they hope to solve. This activity is a structured meeting where a moderator guides and promotes a focused and constructive process to drive discussion and ideas. Come join a group of like-minded home based business owners and entrepreneurs on Wednesday March 6 for a productive brain storming session on business challenges and opportunities.